Sydney put on a glorious day for a club dive to Red Flag. 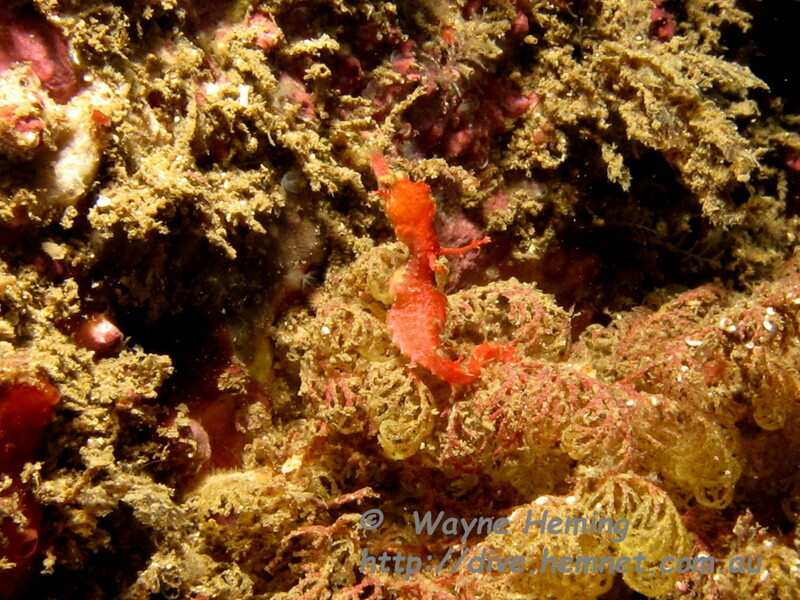 We stopped at M & K Reef, hadn't dived there for over 12 months. A cool 17° and a nice 10-12m visibility. 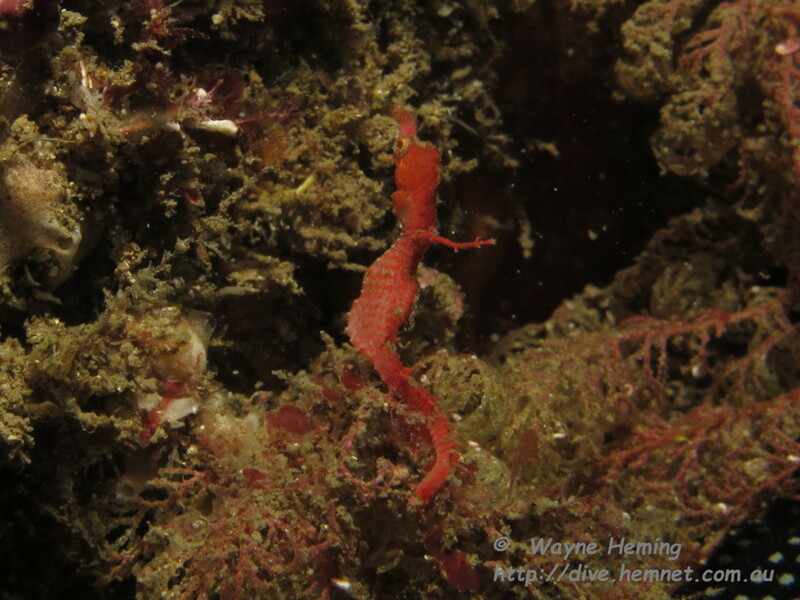 Pete found a Pygmy Pipe Horse, amongst some soft corals. 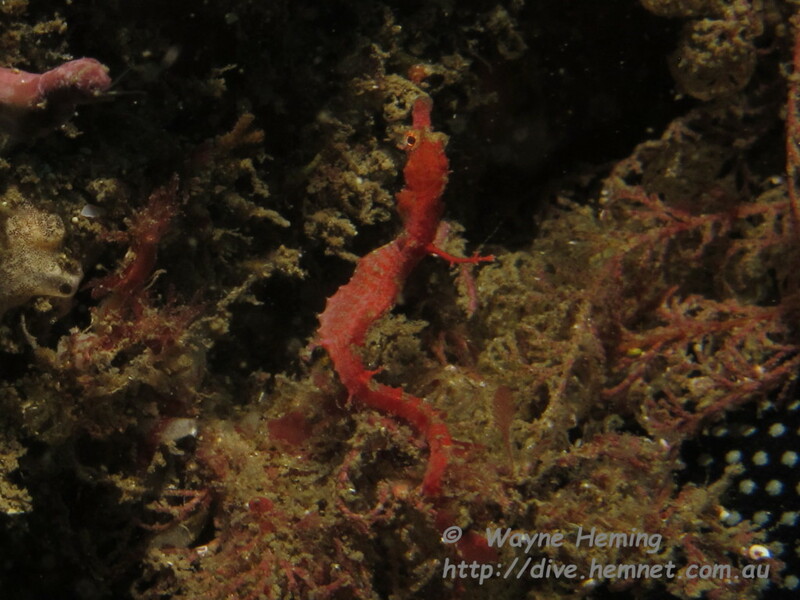 We also found a pair of weedy Sea Dragons with eggs, a great dive. 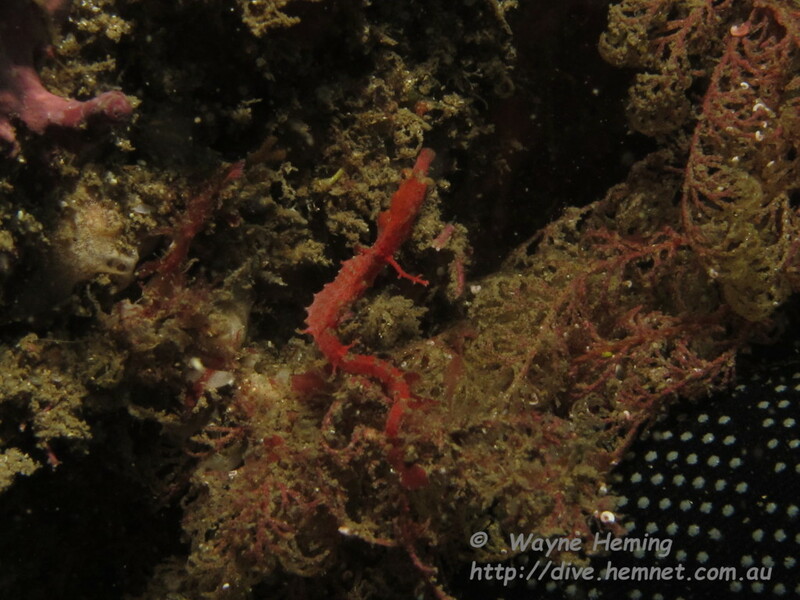 The Whale Watch Rock-fall also put on a great show with 15m vis and PJ's galore and a few Cuttlefish.